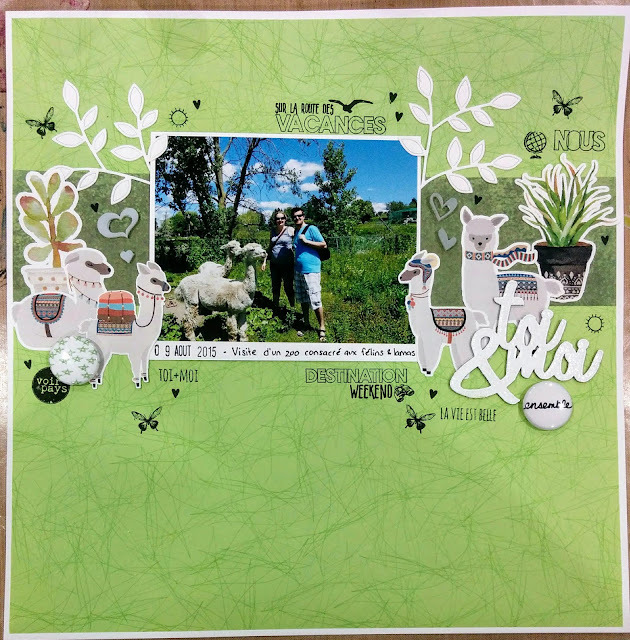 Here is my latest layout, featuring the lamas we saw while visiting a feline zoo! This is so cute!! I LOVE the llamas. Thanks for joining us for the Simon Says Stamp Wednesday Challenge.